Filter works just as well as the OEM filter that came with the fridge, and at a much better price. Not the first time I’ve purchased the EcoBlueLife filter, and I suspect it won’t be the last, either. Worked perfectly. Less expensive than other replacements I have used. This product fits well in my Samsung refrigerator. The water tastes like bottle water. 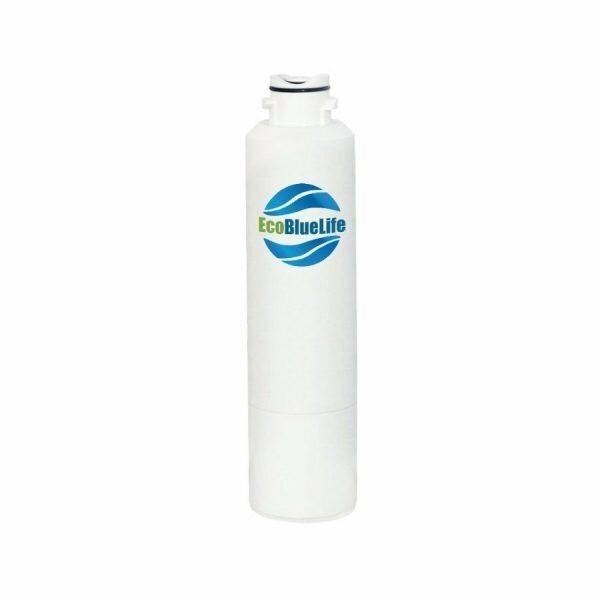 It removes lead and other contaminants according to the label which is the most important thing to me, safe drinking water. Works just fine, and cheaper than other brands. A snap to install. Fit my Samsung perfectly, and at half the cost of the one it is replacing. For those reviewers who complained about water spewing/leaking, the directions for changing the filter say to turn off the water supply in the back of the fridge, then after replacing the filter and turning water back on, re-prime it by letting it run for awhile to get all the air out of the line. I had a little water drain from it while replacing it because the old filter was filled with water. Perfect fit for our Samsung fridge. Works as advertised. No aftertaste. Perfect fit, no leaks, water tastes great. Perfect fit and it works good. Exactly what I needed. Works great. Easy to install. Works great. The initial running the water through the filter needed a few more times than other filters. After that the filter works as advertised. Fits my Samsung refrigerator. No complaints so far! Price great…fit my fridge perfectly! Nice and affordable. I can’t complain when I am saving over 30 bucks on this product over the so-called Samsung branded filter. No problem, just pop it in! This was easy to install and is working as expected. It was a perfect fit, it was a great price. I will continue to use as long as you keep making them. No chlorine taste like the previous filter i bought. It was a snug fit putting it in not sure why it gave me such an issue but it did finally go on. Refrigerator water filter works perfectly! Will order more in future! This filter works great in our Samsung refrigerator. It fits securely w/no leakage, and is only a fraction of the cost of the name brand ones. I highly recommend this product. The item was easy to install and my ice is no longer freezing up in my ice maker. This is the 2nd one I have ordered. Last one lasted 6 months with two of us in the household. No problems. I highly recommend it. Significantly less expensive than the alternatives, easy to install, works well. Great product! Arrived on time too! The water pressure is great too from the dispenser. Love the price. I was paying WAY more than what the seller charged. Thank you for making it affordable. Great delivery service too. Make my fridge water taste great! Water tastes the same as the OEM filter and comes out faster. It worked very well. No problem at all. I was wary about trying a non-name brand filter for my Samsung refrigerator, but this filter has worked wonderfully with no problems. Fit my Samsung perfectly. No leaks. This is the second time I’ve purchased this filter and I’m happy with it. It does last 6 months and it’s easy to install. Will purchase again when needed. Better than the one that came with the fridge when I bought it. Have had it for a couple of months with no leaks. Even the water flow comes out faster. Second time I order this filter and works perfectly with our Samsung refrigerator. Excellent price. Made the water taste very good. I think it does a good Job of filtering.The only complaint may be not related to the product, but when I installed it my water dispenser pump hums much louder than normal. I can’t see a justification for why the filter would cause this though. I bought this for my Samsung refrigerator. It’s working very well. It’s my third buying it. I renewed it every 5-6 months. Quick ship. Fits perfect. Water clear and oderless. Great value, works well exactly like big box store name brands. Couldn’t be happier. Arrived early and fits right into the refrigerator. Good directions and easy to install. Works great! Great product and a great value. I’ve tried off brand filters beforehand had to deal with weird aftertastes. With EchoBlueLife the water tastes good and the flow is faster than the Samsung original. No leaks either. Received earlier than expected and it is doing a great job in our refrigerator! First it had only 1 rubber seal at the top.Doesn’t seem to be leaking.I just wonder about the filtering.It sure makes a lot more ice with this filter.I have a Well in my house, so we will see if I get 6 months like the factory filter.But so far i’m pleased. Work as advertising and cheap price! Easy to install. Good water flow. Reminders about when to change stickers and magnet. Works as expected. 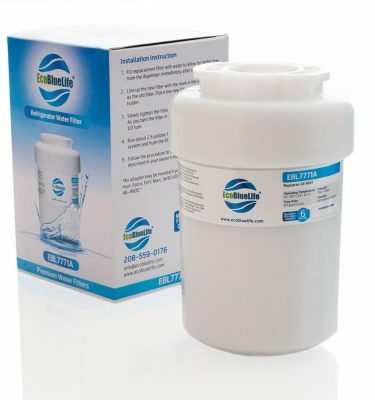 Easy to replace, and good flow rate make this an affordable alternative to the Samsung name brand filter. Prompt delivery and excellent price. Very easy to replace. Seems to be working fine. The only bad comment I have would be about the instructions. They weren’t exactly clear. Not enough information. Could have gone into a little more detail. But all in all is a very good product so far. And the price was right. 2nd or 3rd one I’ve bought. Works great every time. Works perfect for a great price! Works great just like the Samsung. Will definitely order again and would recommend to anyone. The filter came in quick as well which was great since the light had been on for a couple of days when I ordered. Fit perfectly and is working like a charm. Thank you! Works great just as good as my much more expensive filter. I saved $$$ but I did not have to compromise on the quality of the water! The filter fit fine and didn’t leak like a cheaper filter I had previously bought. Shipment was fast!…Also it worked for my Samsung refrigerator! Easy to install..no problems at all! This is the 3rd time, I’ve bought these. They work for the full 6 months. Their easy to install and dispose of too. Thank you very much. Works just fine! …..Installed with ZERO problemo!……..Replaced the original Samsung filter at less than half the price! I was very disappointed with this filter, particularly after all the glowing reviews. It leaked from the minute I installed it and the water tasted off. I am returning it. As many others have commented, the Samsung filters are pricey but I will be spending the money unless I can find another filter of comparable quality1/11/18 I decided to give this filter a second chance and am happy to give a positive report. This one does not leak and the water tastes fine. Perhaps I got a “lemon” last time around but the new one is working fine so far. It’s only been a few days so can’t speak to long-term performance. This filter works just as well, if not better, than the Samsung one it replaced. I’ve always purchased the Samsung one in the past because I was afraid to try any others. With the prices rising, I decided to give this one a try. No leaks or drips, and the water runs just as well, if not better. With any new filter, you are supposed to run a lot of water through it to get the air out, which I did. I’m happy with this one, and even more pleased with the price. The company also sent me a follow up email to make sure I was happy with the purchase, and if I wasn’t to let them know. I’ll be purchasing this one again. 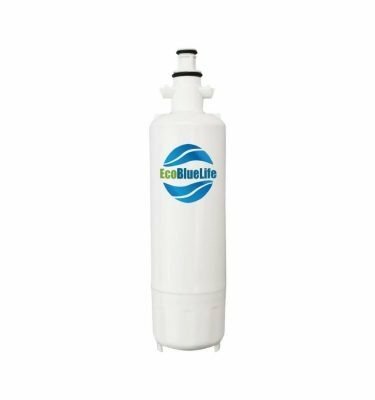 After purchasing our Samsung refrigerator in 2014, it has become increasingly frustrating to see the price of the OEM filters rise every time we need them (y’know, each 6 months).So, this time, rather than plunking down ninety bucks for a two pack, I decided to give the EcoBlueLife filter a shot. At a deal of a price of $19, it was worth a shot.It arrived in 2 days (Prime! ), and I immediately installed it into the fridge. 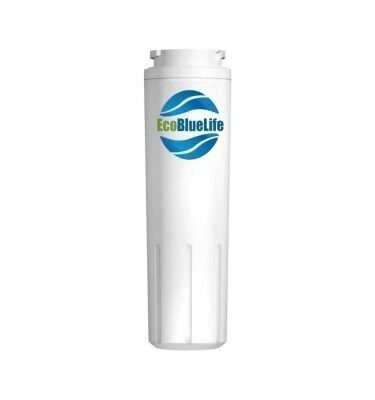 I was optimistically skeptical, based on the mostly positive reviews, countered by the harsh negatives.I hoped it would work.I prayed for no leaks.I wanted to score a bargain.The EcoBlueLife filter delivered on all aspects.It works perfectly!! !Thank you, Rojo, LLC (EcoBlueLife filters)I will definitely use, and recommend, these filters from now on. Update: I changed my first rating from 1 star to 5 stars… when we initially installed the filter it leaked in a week, but we reinstalled it again and it’s been working great! I would recommend this product to everyone! Good product, the water flows much faster through this filter than an OEM product. Also, it makes a louder buzzing sound when your filling something up. Installed like a charm and 5 days later, no leaks. 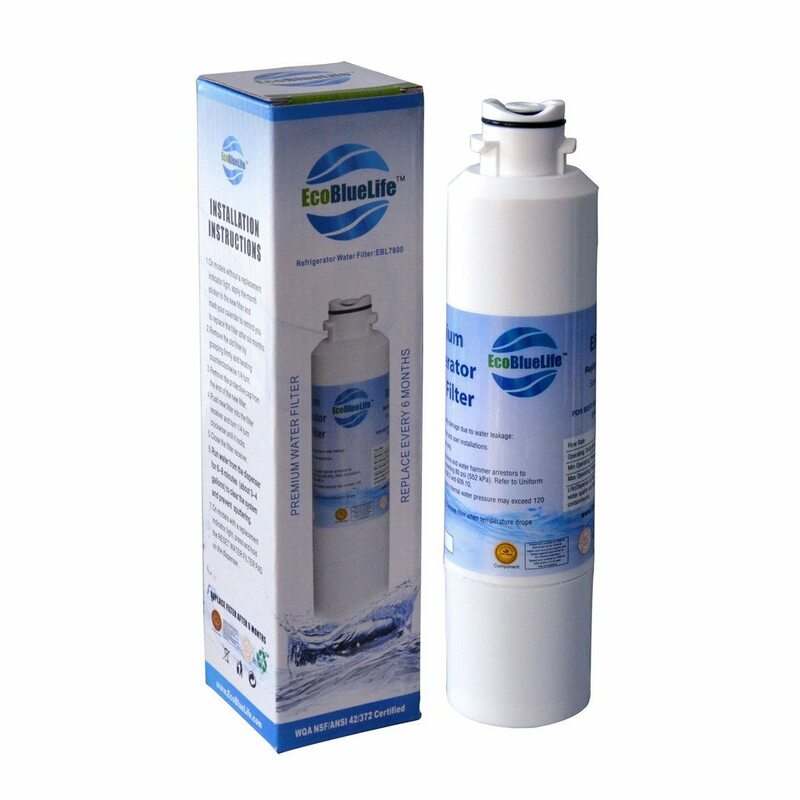 Great replacement for my Samsung water filter, at a much cheaper price. I will buy this product again. Very easy to use & water tastes great! For the price there is no complaints. Fits perfect. Flow is the same and taste is about the same. Fits perfectly, water tastes great and is clear! Just like the name brand but with a different label. Very easy to install. No problems with installation and it began working as it should. Works great, will order again. filter fits like the original at a great price! works great! the water comes out nice and wet. tastes just like water should. ice comes out frozen. Filters well. Doesn’t leak, and its inexpensive. What more could you ask for. 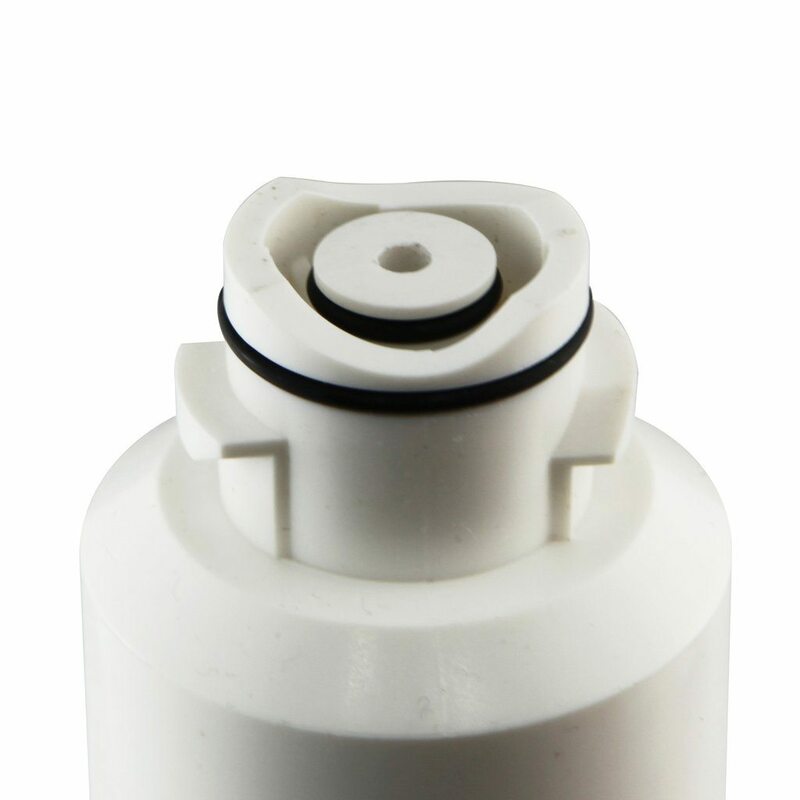 A good quality replacement filter for Samsung refrigerators. Great! Fit perfectly on my Samsung fridge no leaks! Perfect replacement at a great price for my Samsung fridge. No fuss, no hassle. Installed exactly the way it’s supposed to. Our last Evoblue Life lasted for about a year with a family of eight using ice and water multiple times daily. Will buy this product agsin. Filters work like they are supposed to. Fast delivery. Installed easily. Works fine. Thanks. These filter well and fit perfect for Samsung. Had to replace another filter by another brand I recently purchased. So far so good. No leaks and not funny noises when I try and dispense water. Works great and SO much cheaper than the Samsung brand. Thanks! Does what’s it’s suppos to do. 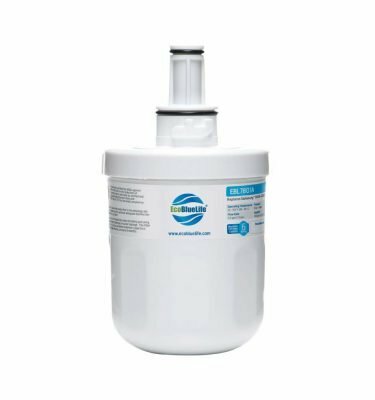 A good inexpensive alternative for water filters. Works great and is so less expensive than Samsung brand of filters. Water and ice dispensers both have more pressure. Installed for approximately two weeks, no leaking and no problem with installation. Much better price than Samsung brand. Much more affordable, last longer and works great. Works just like the original, providing great taste and clean water at a great price. I bought this off brand due to the reasonable price. I am very pleased with the product. I arrived as promised and fit perfectly in the frig. I guess I should have replaced the old one sooner because once I installed this new offbrand I had much better flow of water in the door. At this price I will replace the cartridge once a year. The only reason I kept the original one for so long was I thought the replacement price was ridiculous. Now that I have the reasonably priced off brand option I will do it once a year.